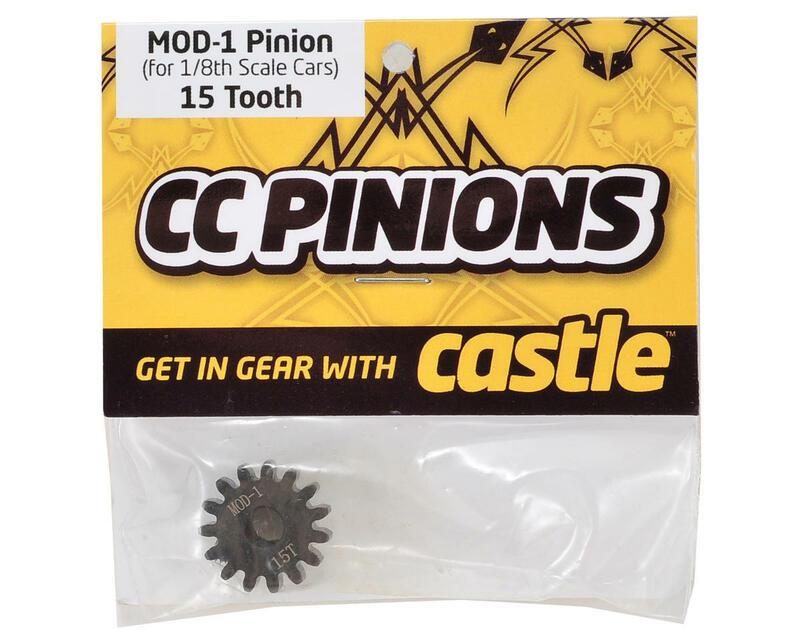 This is a Castle Creations Mod 1 CC Pinion Gear. High power applications require a reliable way to get the power from the motor to the drivetrain. 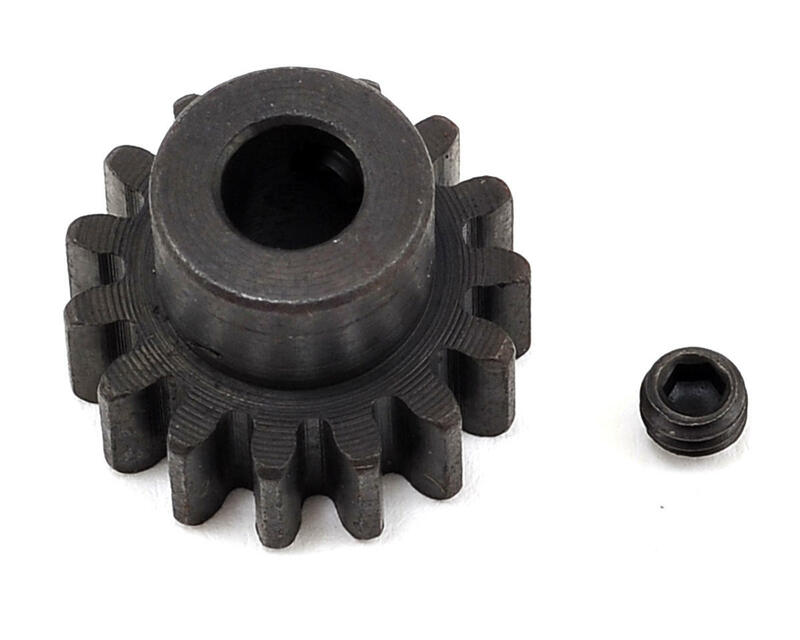 Manufactured from hardened steel, with a Mod 1 tooth profile and 5mm bore, these pinions are ideal for 1/8 scale electric applications. Choose from 11T, 13T, 15T, 17T, 19T, 21T, or 23T tooth count.